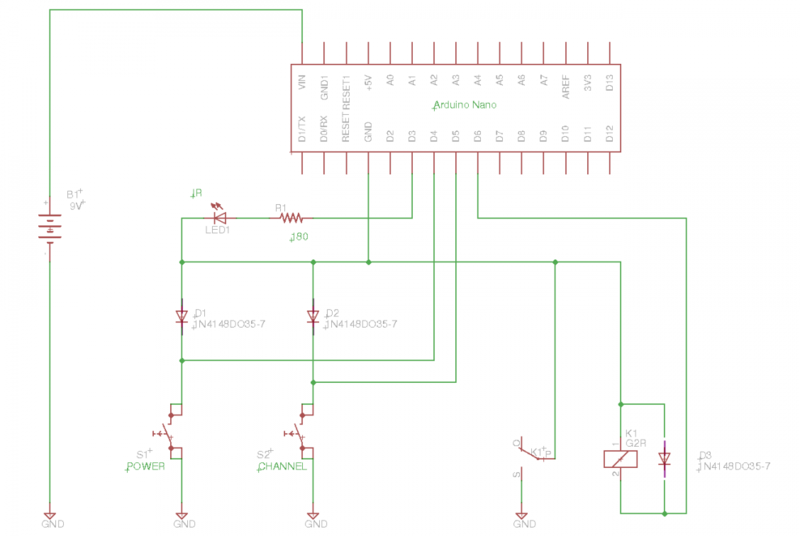 Gives technicians an extra set of hands making the process efficient and more accurate. 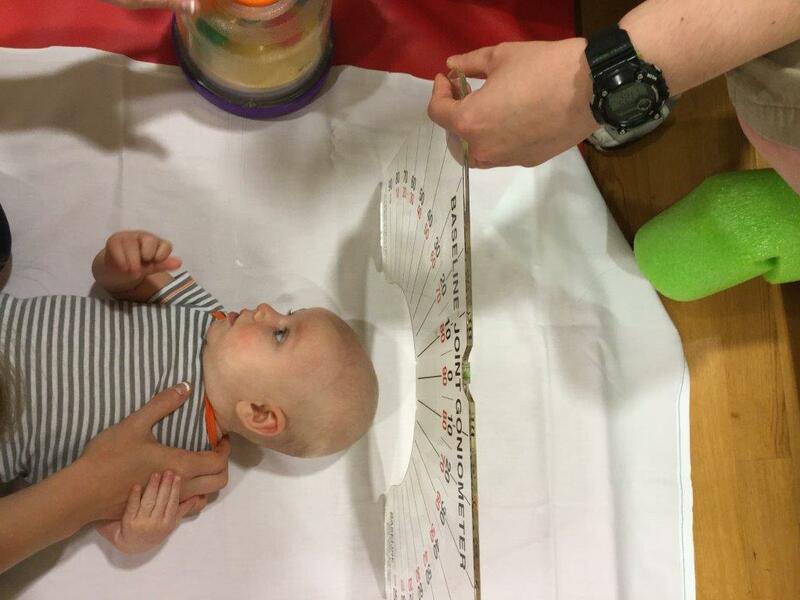 In order to effectively measure the angle an infant can move their neck a goniometer needs to be held upright. This is not easy when the therapist must use one hand to brace the child's shoulder and the other to help the child move their head. 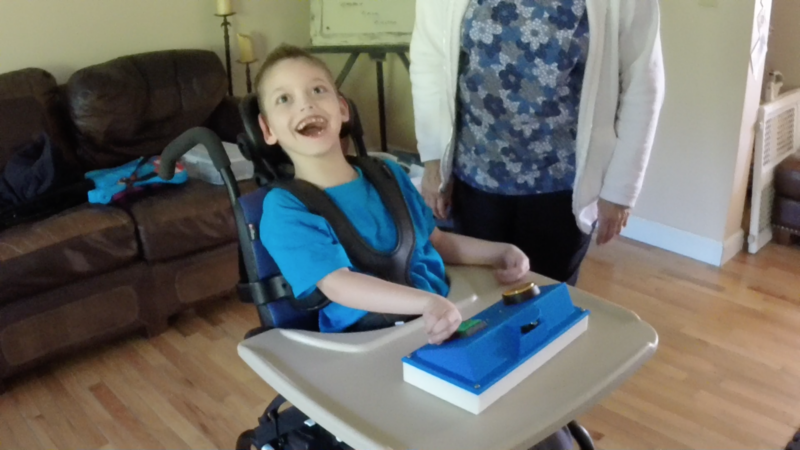 Therapists at Children’s Hospital requested an "extra set of hands". 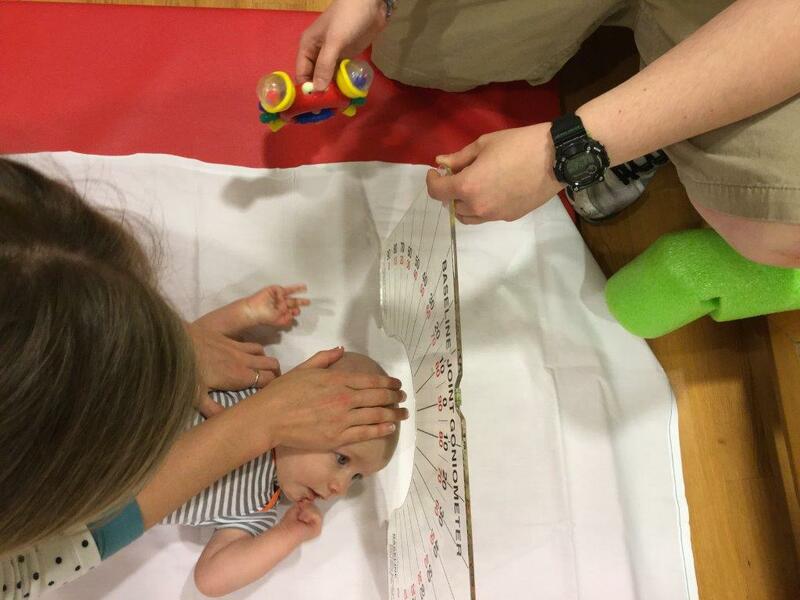 I am a physical therapist at Cincinnati Children’s Hospital and am writing on behalf of the team of therapists who are heading the evidence based practice initiative for torticollis within our department. 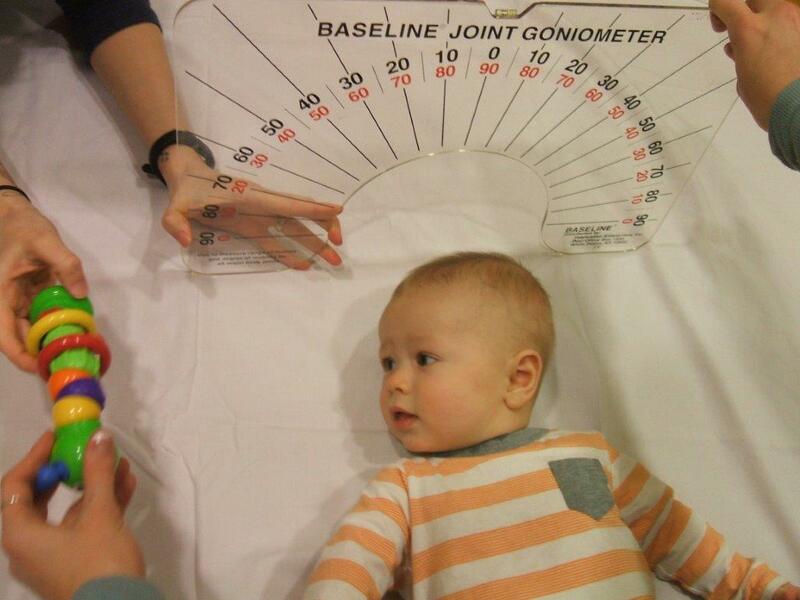 Pediatric physical therapists use an arthrodial goniometer to measure neck flexibility in infants with torticollis. 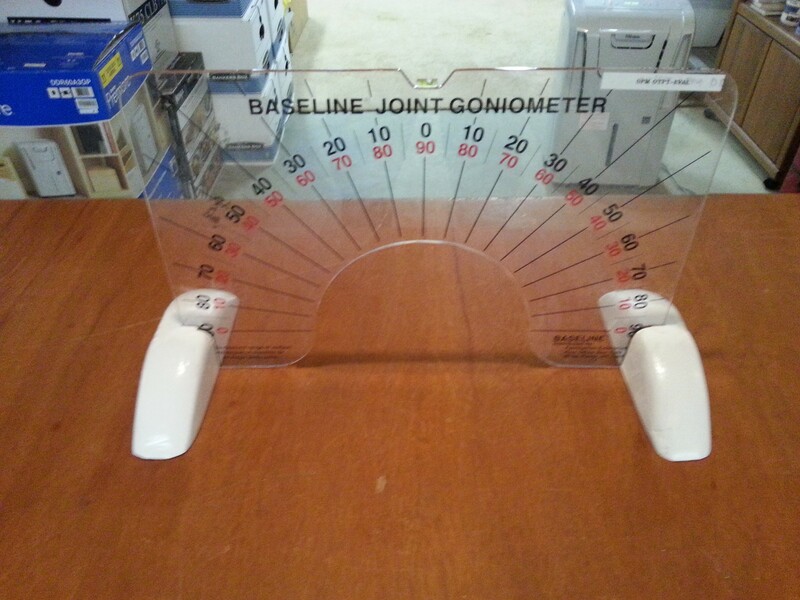 To measure how far they can rotate their head to the side, we need to hold the goniometer upright. 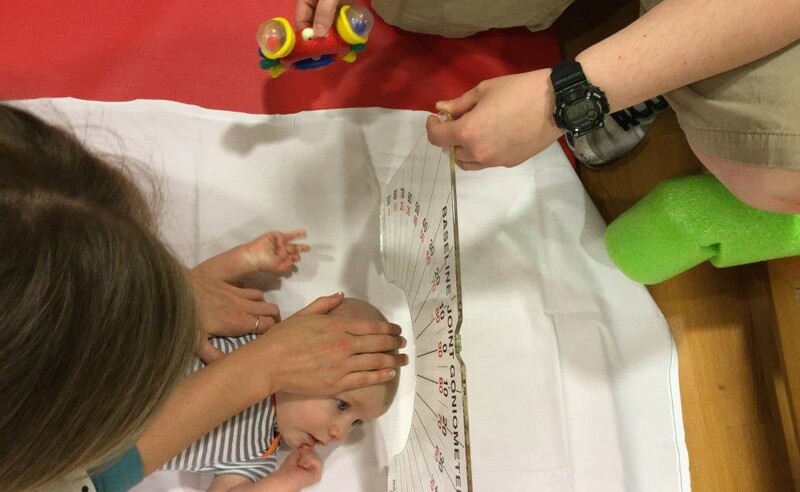 At the same time, we need to use our hands to stabilize the infant’s shoulder while putting pressure on the infant’s forehead. 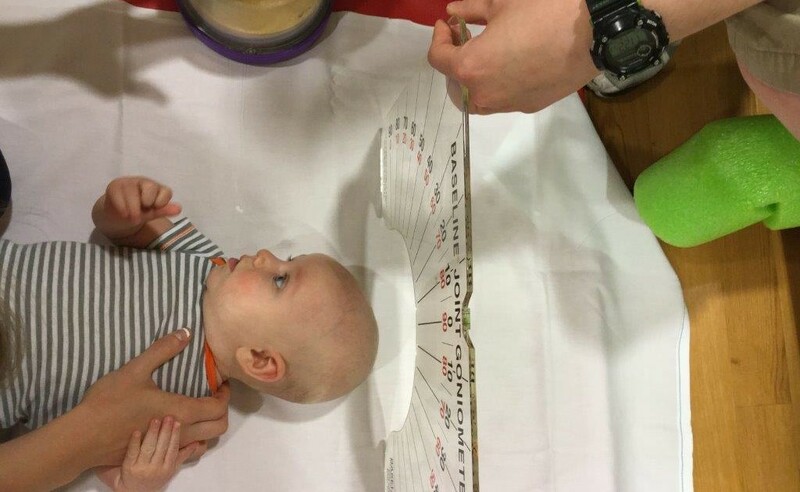 This obviously requires more than 2 hands so we need something to hold the goniometer in place while we have our hands on the infant. 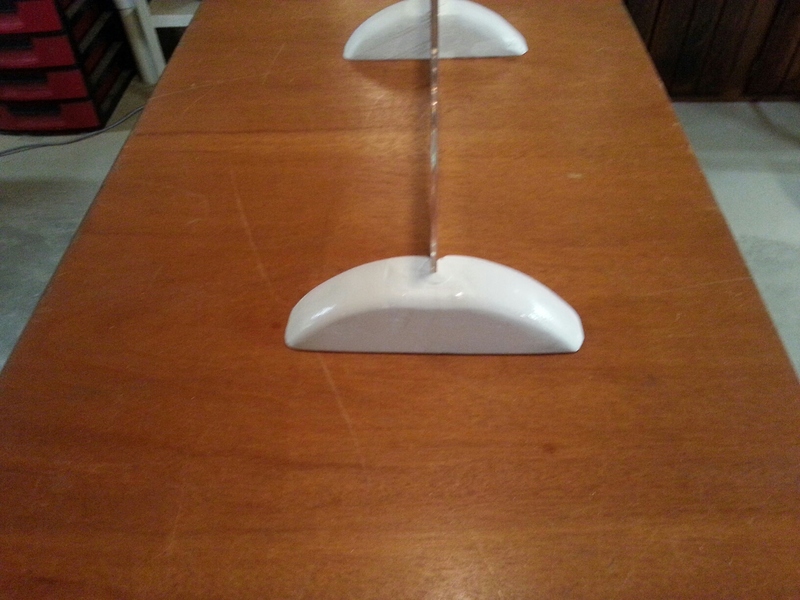 We have been unable to find anything commercially available to hold the goniometer up. It does not need to be fancy, but would need to be reproducible in each of our clinic locations (so we would need approximately 20 of these devices) It’s possible you could eventually patent this and market it to the companies that sell the arthrodial goniometers. 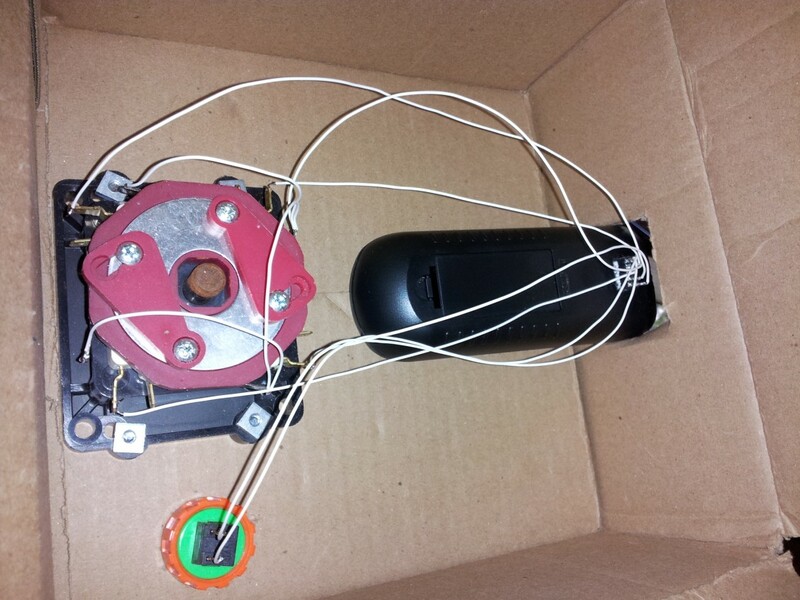 We currently must ask the child’s parent to hold the goniometer or prop it up against something. 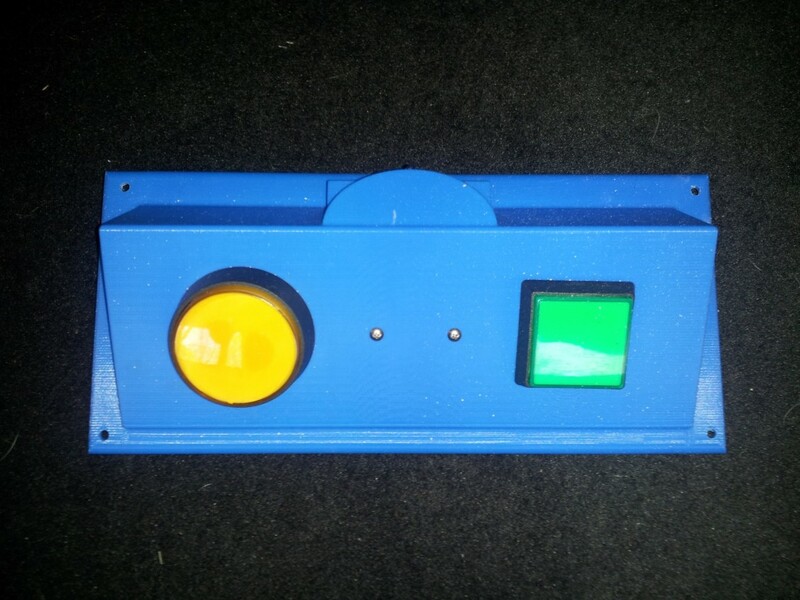 Sometimes the parent is not present or able to assist, propping causes the goniometer to be tilted back at an angle rather than being held up straight (decreases accuracy of measurement), propping is dangerous (goniometer may fall forward onto child’s face). 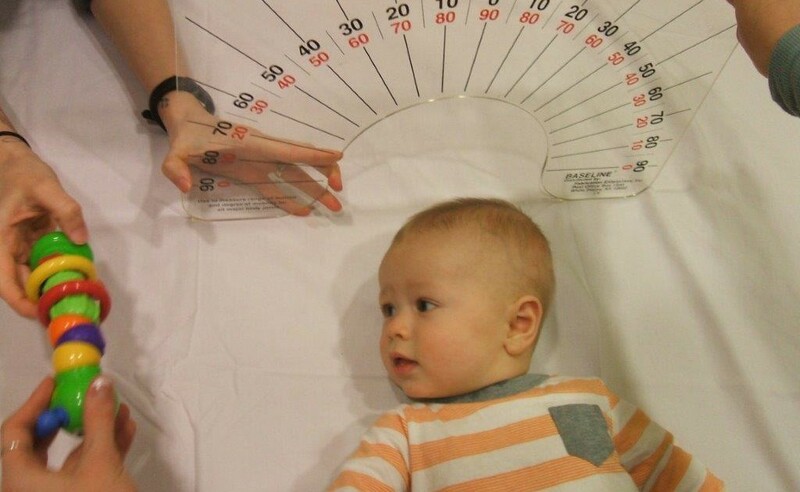 Working with infants who cannot assist and do not like getting this measurement taken—we need to be able to set this up and get the measurement quickly because their tolerance is limited.